These days many architects who want to go green are turning to earth-sheltered houses as these are built from very basic natural material - "Earth" and provide good insulation year round. 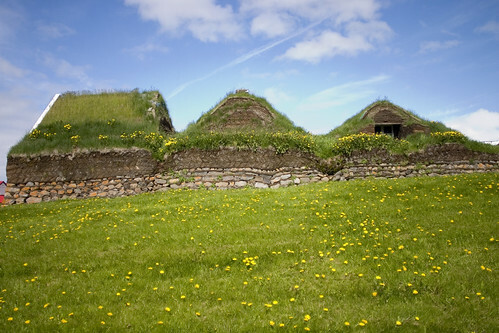 Such houses popularly known as Turf Houses were in use from way back as the Iron Age, especially in the Northern Europe which has harsh cold winters. 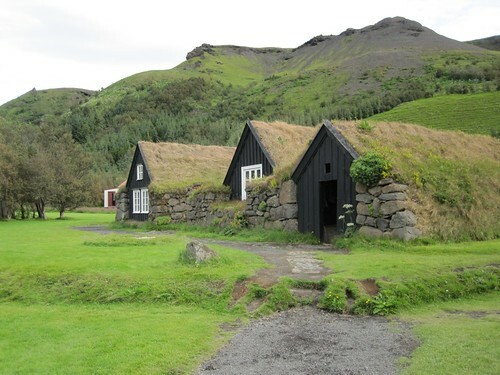 Gradually houses made from brick, stone and timber with roof made from slate, clay tiles, reinforced brick/cement etc became more popular in most of the European countries, however many Icelanders have retained their turf houses even now. 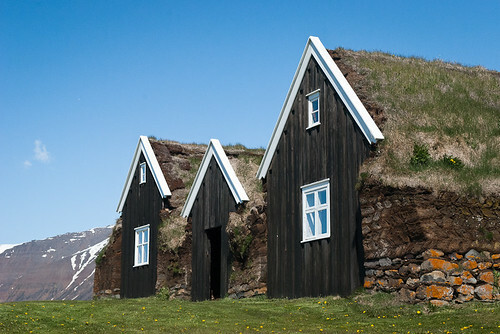 One of the main reasons many such houses can still be found in Iceland is the year round harsh climate in the country and lack of good quality material for modern house building. Even the essential material for concrete houses - aggregate and sand, has to be imported, as local aggregate/sand, being of volcanic nature, is too acidic and not fit for construction work. 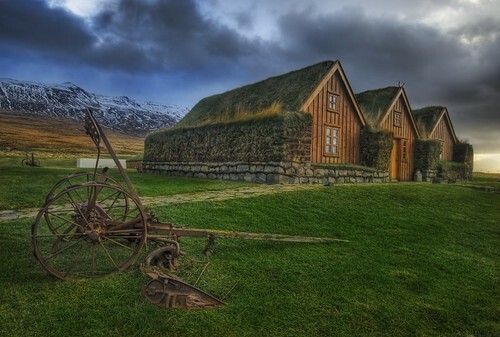 Further there is lack of good quality wood in Iceland, most of the forests in Iceland are birch forest which is not suitable for houses. 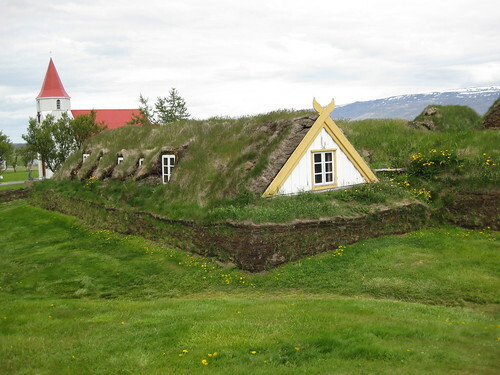 These Icelandic turf houses generally have a stone foundation with walls made of stone and earth and the roof made of wooden frame covered with layers of sod, thus providing good insulation and saving in energy. 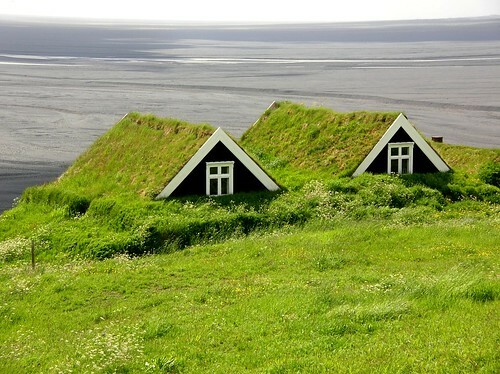 Besides the roof, the walls are also covered with layers of earth and then turfed. 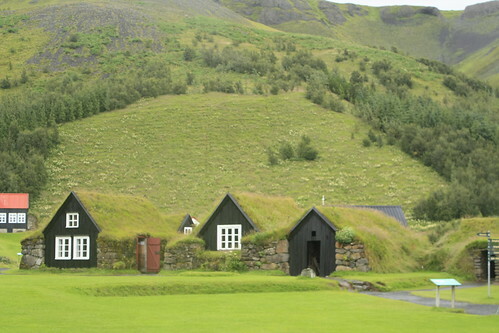 The turf houses however require special skills to prepare the roof for the turf topping and if not designed or built properly, the turf houses may have some drawbacks like water seepage, internal condensation, and poor indoor air quality.